2018 - A trying year full of resistance, overwhelm, faith, and vision. Music Freedom Dreams has been growing, even as it seems the world around us is crumbling. with two new staff and projects on the horizon, we are determined to let our values lead us in these trying times. In our work with the ACLU of Missouri and their Transgender Education & Advocacy Program, we are proud to share a new project and publication that keeps us visioning and moving forward. With protections unraveling left and right for LGBTQ+ communities, one community that feels these changes especially hard are those who identify as Transgender, Non-Binary & Gender Non-Conforming. Through our partnership with ACLU-MO, we saw an opportunity to empower Transgender and Gender-Non Conforming individuals in the state of Missouri by equipping their allies to speak up in all settings. The Trans Ally Toolkit, a resource equipping allies to do just that in spaces like Workplaces, Healthcare & Education settings, in Public, and more, is available now. If you are in Missouri, join us in person to roll out the Toolkit. 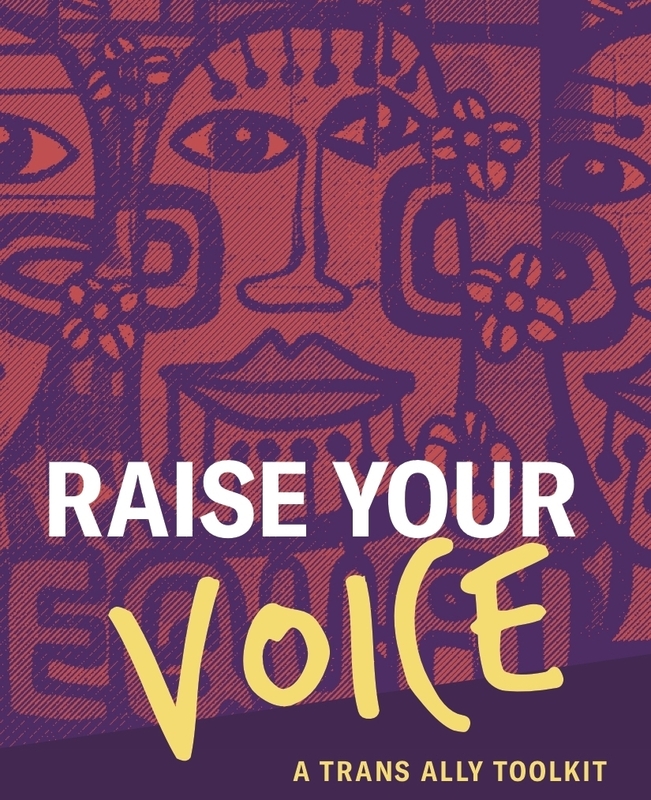 We are co-producing five events around the state as part of the rollout campaign entitled Raise Your Voice: 10 Days of Trans Demands. See you out there! To request a training for your school, organization, or group, on the Toolkit content or just being a better ally to Trans & GNC individuals, visit the Ally Commitment Form here. To order 5 or more toolkits, please fill out the form below. Please note, we'll cover shipping costs on the front end and contact you to pay them once your request has been processed. Note: The toolkits should be ready to ship by early April 2019. Please be in touch if you are hoping to have them by a specific date.